One of the highlights of the inaugural Chicago Architecture Biennial was Tatiana Bilbao's "Sustainable Housing," one of four full-scale prototype dwellings I encountered in the exhibition. At only $9,000, the house made of CMUs, plywood, and wood pallets was framed relative to the 9 million houses needed in Mexico, where Bilbao lives and works. She was able to build 23 of the houses in Coahuila after the same number of houses was destroyed by a tornado. The wood was eschewed in favor of more concrete so they would stand up to any future tornadoes. Yet almost as important as the houses, Bilbao realized a shaded square and sports court adjacent to the houses; these illustrate how she also addresses urban planning and the public spaces outside of the houses themselves. 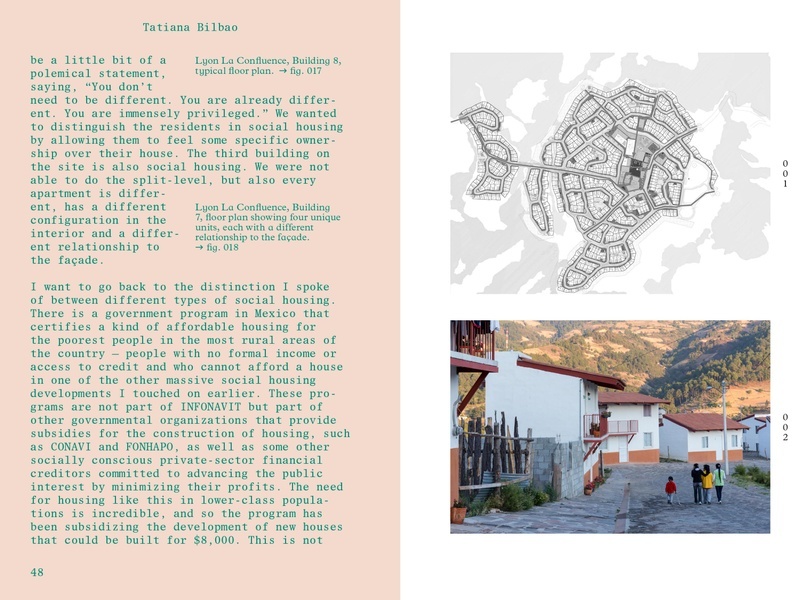 This small book documents a lecture Bilbao gave at Columbia GSAPP in October 2016, in which she discussed her housing prototypes, the houses in Coahuila, and other housing projects. 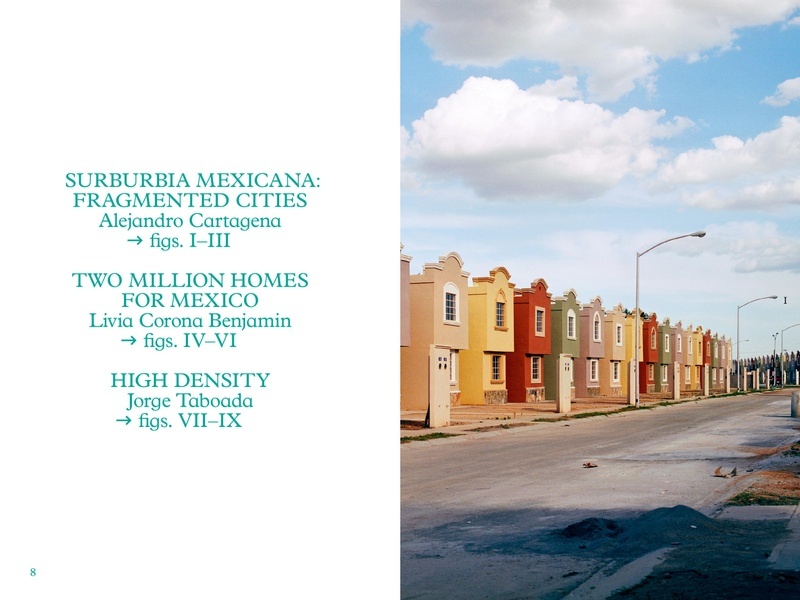 Her talk illuminates the unique conditions of housing in Mexico and Mexico City in particular. 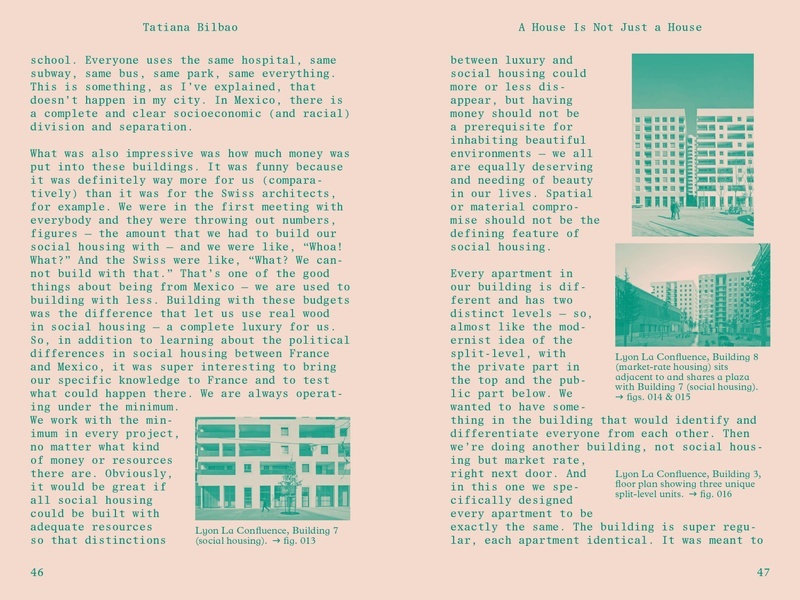 Bilbao has been proactive in regards to the country's housing crisis, having approached INFONAVIT, the federally owned bank that funds most of the country's housing projects, with the goal of creating successful neighborhoods, not just good housing. 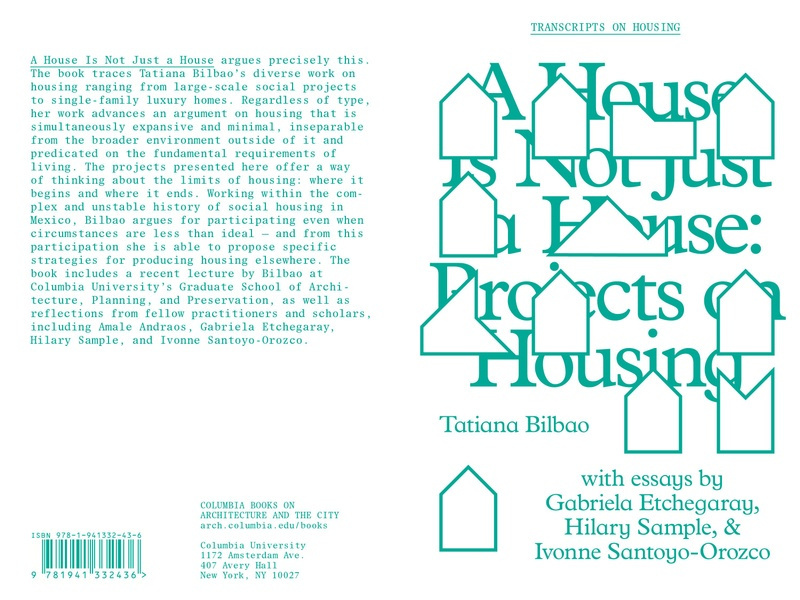 This emphasis on context and the social conditions of housing is one explanation for the book's title. 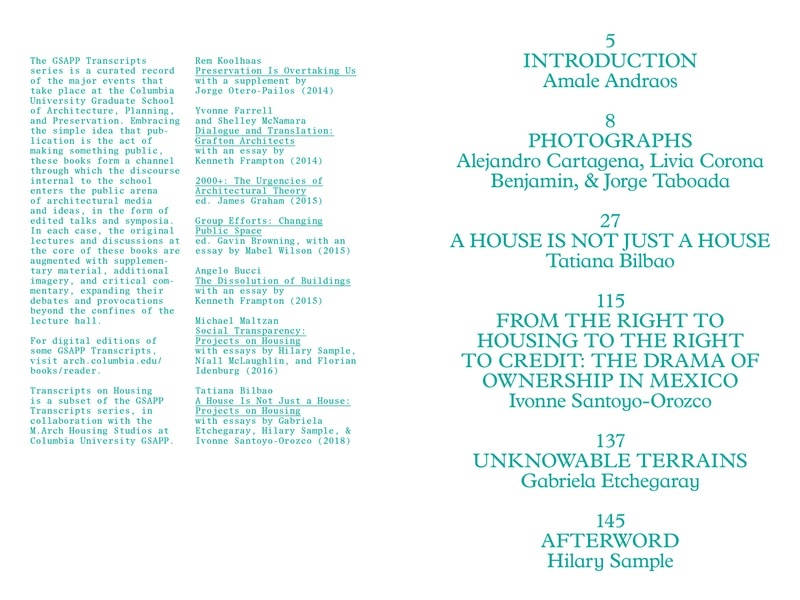 Other takes come courtesy of the essays by Ivnne Santoyo-Orozco, Gabriela Etchegaray, and Hilary Sample. Tatiana Bilbao, born and raised in Mexico City, graduated from Universidad Iberoamericana in 1996. In 2004, she founded her titular office, initiating projects in China, Europe and Mexico.